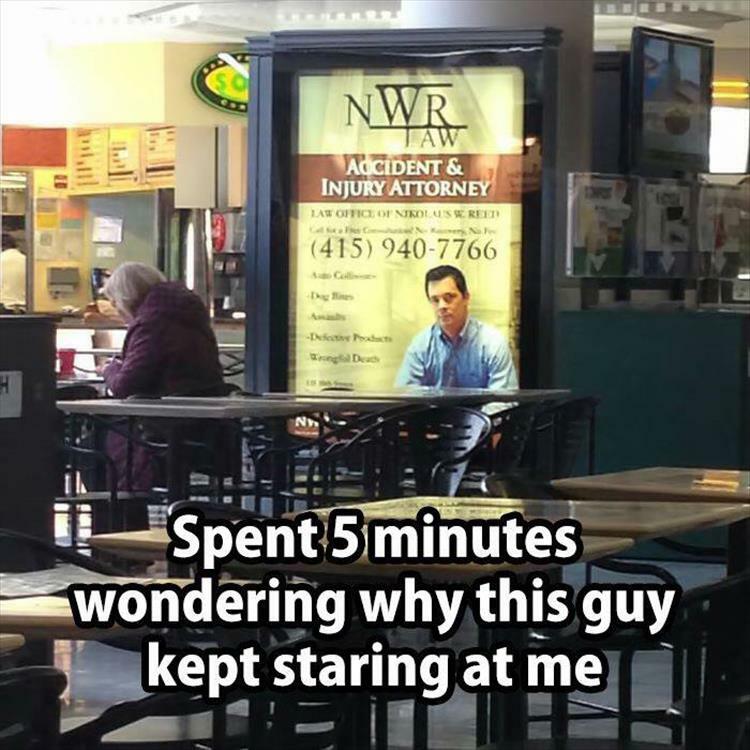 Spent 5 minutes wondering why this guy kept staring at me. The Dalai Lama And Mr. Rogers. A Beautiful Thing. Sent home from school after suffering a terrible injury. 99 percent chance this is the same person. If you combine Joan Rivers and Gary Busey you get the Aberc.. If you squeeze the head of a Barbie Doll, it looks like Sel..
Man takes his cat to a dog show. "Don't feed the bears" warning doesn't sugar coat anything ..
Cyclists get chased by a crazy ostrich.